We were kids once, so we know what makes a great playground or back garden! Speaking of the past, let’s go back to the start for a second. Picture us (looking a little younger than in our more recent photos), proud as punch, at the Home and Garden show at the RDS, Dublin, circa 2003, promoting synthetic grass for domestic garden use. People laughed at us. “That’s one thing we have plenty of here!”, they hooted. Over 15 years later, over 4,000 families have chosen our synthetic grass because it solves a problem for them. Mark O’Loughlin is a true entrepreneur, a fact recognised by the formidable ‘dragons’ on the RTÉ television show Dragons’ Den. On the show Mark sought and won investment for another business, Hidbin, his invention for hiding unsightly wheelie bins. Mark has run his garden design and creation business for more years than he cares to remember and, over the last decade or so, has become the go-to man for synthetic grass in Ireland. Find out about Hidbin here. As you can see, he’s been at the vanguard of our growing obsession with ‘the room outside’. No stranger to (real) grass, Mark is the son of a farmer, and continuing his close association with turf, represented Leinster, Irish Colleges and Ireland in under-21s rugby. Even before he started his landscaping business, Mark was influencing outdoor living spaces by pioneering the importation of log cabins. He worked in Germany, the USA and Australia before setting up Sanctuary Landscapes (now Sanctuary Synthetics). Sanctuary Synthetics is based in a fetching log cabin (what else?) 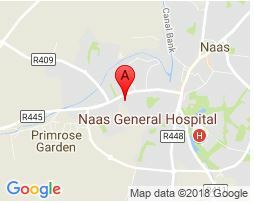 in Naas and employs seven full-time and two part-time members of staff. For more reasons to choose us, click here. We believe in ‘conscious Capitalism’; Capitalism is the worst system, except for all the others.